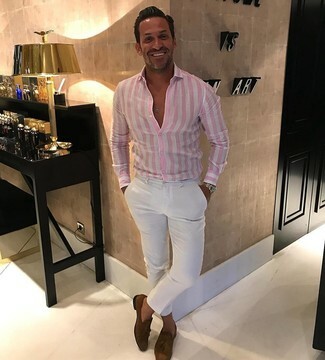 For a casually elegant look, consider pairing an Ike Behar Gold Label Dobby Stripe Cotton Dress Shirt with white chinos — these items play really good together. 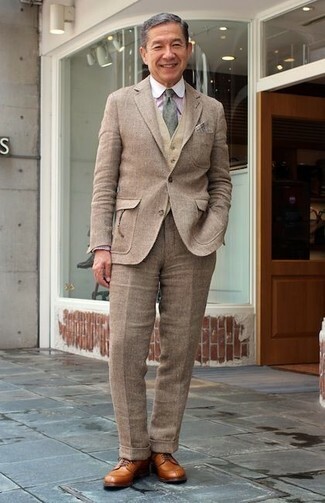 Dress up your getup with brown suede tassel loafers. As you can see here, being a dapper dude doesn't take that much work. 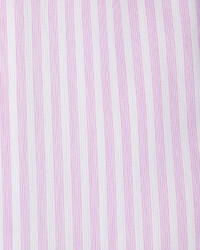 Just reach for an Ike Behar Gold Label Dobby Stripe Cotton Dress Shirt and yellow shorts and you'll look smart. Rock a pair of tobacco leather boat shoes to have some fun with things. 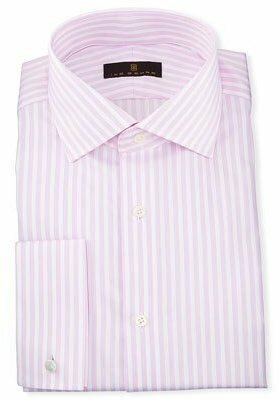 For a nothing less than incredibly stylish getup, wear an Ike Behar pink vertical striped dress shirt with a brown wool suit. To bring out the fun side of you, complete your ensemble with tan leather derby shoes. 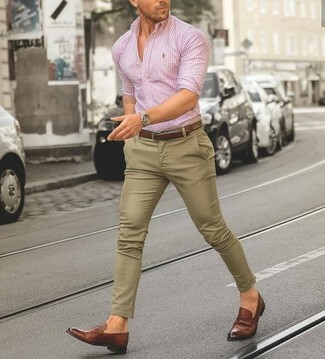 This combo of an Ike Behar Gold Label Dobby Stripe Cotton Dress Shirt and beige chinos is so easy to pull together without a second thought, helping you look amazing and ready for anything without spending too much time searching through your closet. As you can see here, being a dapper dude doesn't take that much time. 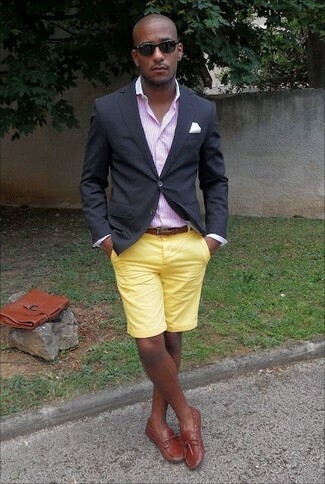 Just consider wearing a pink vertical striped dress shirt and olive corduroy chinos and you'll look amazing. When it comes to footwear, this getup pairs nicely with brown suede desert boots. 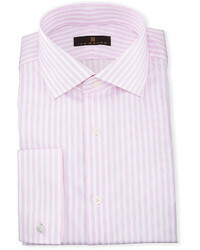 Consider wearing an Ike Behar pink vertical striped dress shirt and grey dress pants for incredibly stylish attire. 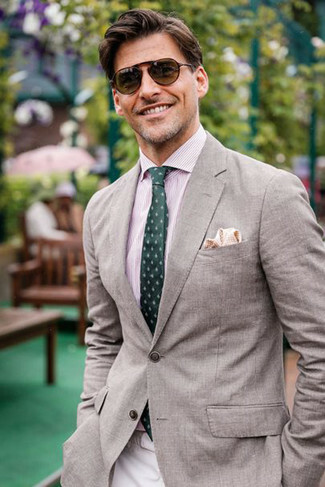 For a casually elegant ensemble, rock an Ike Behar Gold Label Dobby Stripe Cotton Dress Shirt with khaki chinos — these two items go pretty good together. 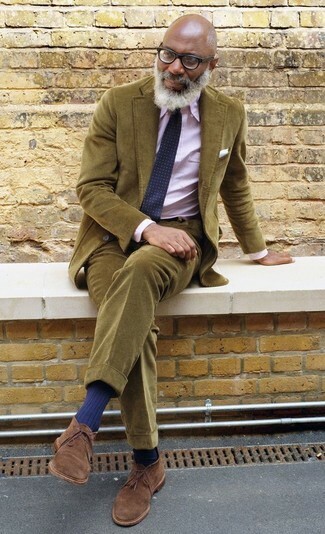 When it comes to shoes, this look is finished off nicely with brown leather loafers.